When it comes to weight loss, you need to know the hard facts about how diets work—why certain habits will help you in the long-term and others backfire. Before you even begin to attack a weight-loss plan, it pays to remember this: You are not fat. You have fat. Losing weight isn't about blame or shame; it's simply another achievement to accomplish, like training for a race or finally cranking out 10 push-ups. "Dieting is like any other skill—you have to buckle down and work at it," says therapist Deborah Beck Busis, Ph.D., the diet program coordinator at the Beck Institute for Cognitive Behavior Therapy and a coauthor of The Diet Trap Solution. "As long as you act in a smart, reasonable way, you'll ultimately get where you want to be." To help you reach your goal weight and maintain it, we examined the latest research and talked to top experts to compile the 10 tenets for weight loss that have been proved to deliver results. "Thinking of a diet as something you're on and suffering through only for the short term doesn't work," Beck Busis says. To shed weight and keep it off, you need to make permanent changes to the way you eat. It's OK to indulge occasionally, of course, but if you cut calories temporarily and then revert to your old way of eating, you'll gain back the weight quicker than you can say yo-yo. Use it to lose it. Research shows that one of the best predictors of long-term weight loss is how many pounds you drop in the first month, says John Apolzan, Ph.D., an assistant professor at the Ingestive Behavior Lab at Louisiana State University's Pennington Biomedical Research Center. It makes sense: Immediate results are motivating. For that reason, nutritionists often suggest being stricter for the first two weeks of your new eating strategy to build momentum. Cut out added sugar and alcohol and avoid unrefined carbs. "After that, ease small amounts of those foods back into your diet for a plan you can live with for the long term," says Wendy Bazilian, R.D.N., a nutritionist and an exercise physiologist in San Diego and a coauthor of The SuperFoodsRx Diet. 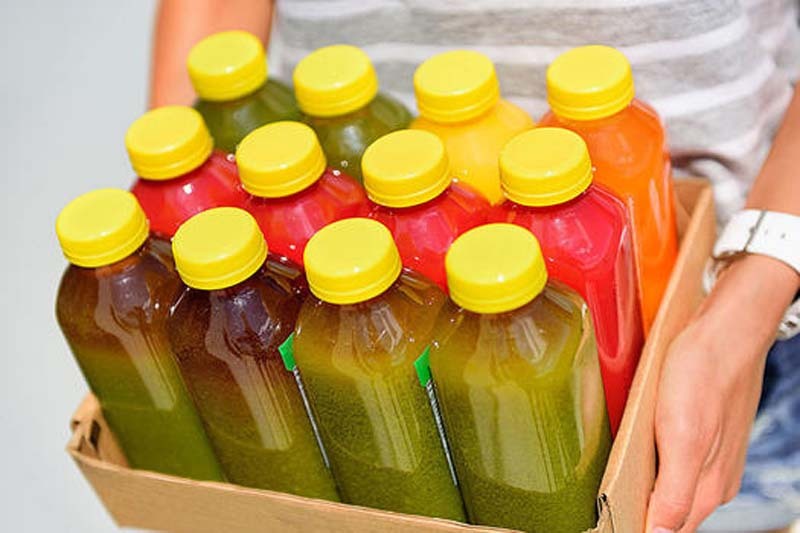 "Figure out how you can reincorporate them in a way that's healthy and maintainable," adds Brooke Alpert, R.D.N., a nutritionist and a coauthor of The Sugar Detox. "Establish specific goals, such as setting a maximum number of drinks you'll have a week or limiting pizza to one slice." Schedule one weekly indulgence to look forward to, and give yourself one spontaneous splurge to use whenever you really want it, Bazilian suggests. Working out burns calories and fat and boosts your metabolism by building muscle. But those trying to lose weight are notorious for overestimating the number of calories they burn and underestimating the amount they take in. 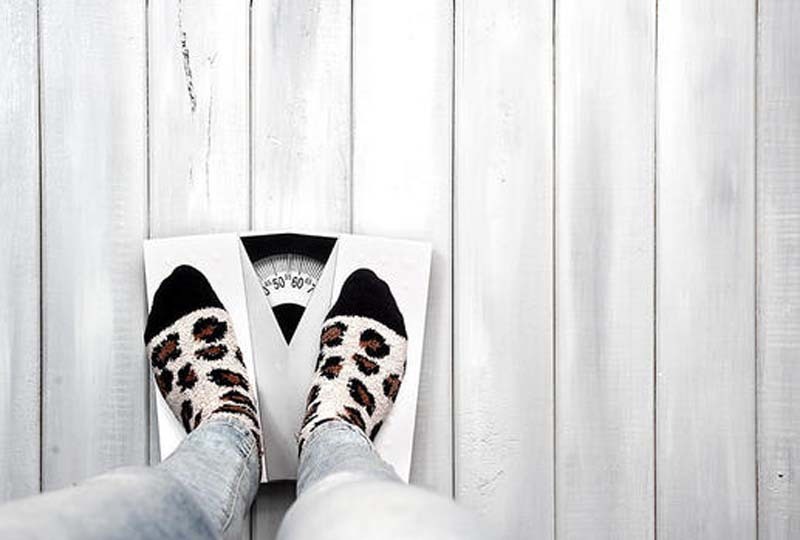 Unfortunately, your system is biologically programmed to hold on to extra pounds, says Louis Aronne, M.D., a professor of metabolic research and the director of the Comprehensive Weight Control Center at Weill Cornell Medicine. That means when you start exercising, your body senses the deficit and ramps up its hunger signals, according to a review of weight-loss studies. If you're not diligent, you'll eat everything you burn and then some. Use it to lose it. Cardio gets all the exercise glory, but strength and interval training are the real heroes. They help you build lean muscle, which in turn increases your metabolism and calorie-burning ability, says Lance Dalleck, Ph.D., an assistant professor of exercise and sport science at Western Colorado State University. His advice: Every week, strength-train two to three days. For the best results, also do three to five cardio sessions that burn 250 to 400 calories each. Some women have a hard time losing weight because of hunger anxiety. 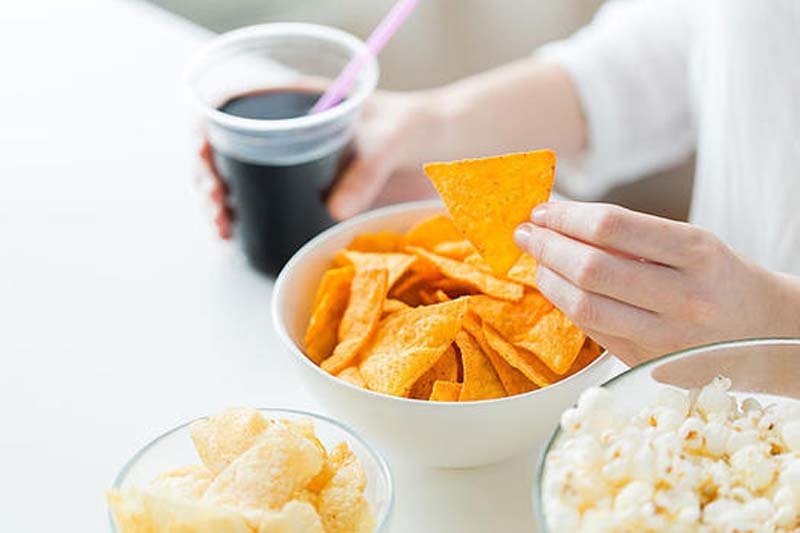 To them, being hungry is bad—something to be avoided at all costs—so they carry snacks with them and eat when they don't need to, Alpert explains. Others eat because they're stressed out or bored. While you never want to get to the point of being ravenous (that's when bingeing is likely to happen), a hunger pang, a craving, or the fact that it's 3:00 p.m. should not send you racing for the vending machine or obsessing about the energy bar in your purse. Ideally, you should put off eating until your stomach is growling and it's difficult to concentrate, Alpert says. Use it to lose it. When you feel the urge to eat, use the HALT method, Bazilian suggests. Ask yourself, Am I really hungry? Or am I angry or anxious, lonely or bored, or tired? If you're still not certain, try the apple test. 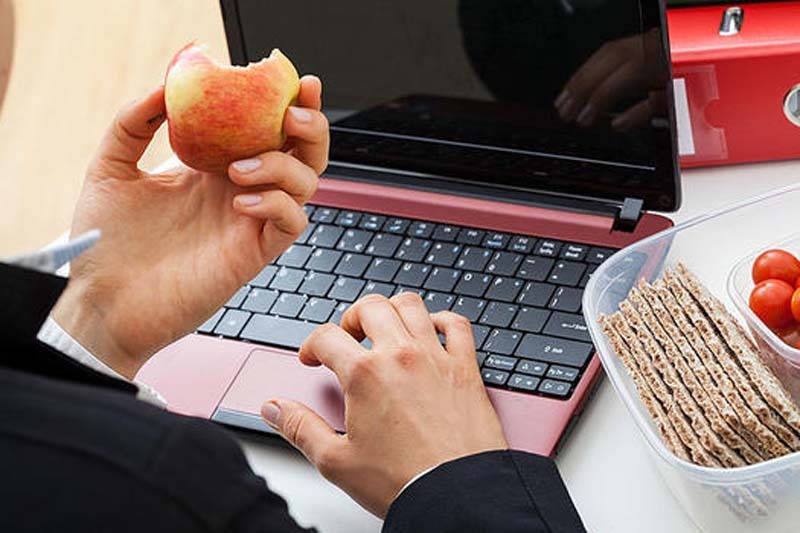 "If you're truly hungry, an apple should seem delicious; if it doesn't, something else is going on," says Robin Frutchey, a behavioral therapist at Johns Hopkins University Weight Management Center. In that case, give yourself a pep talk instead of a snack. "If hunger isn't the problem, food isn't the solution," Beck Busis says. "There are a lot of other ways to deal with boredom or anxiety—like going for a walk, hitting the gym, or texting a friend—and those things have zero negative consequences." The mechanics of weight loss are pretty simple: Take in fewer calories than you use for energy. But the kind of food you eat makes all the difference. "A calorie is not just a calorie," Dr. Aronne says. Processed food that's high in saturated fat and refined starch or sugar can cause inflammation that disrupts the hormone signals that tell your brain you're full, he explains. The result: You eat a lot more. Plus, studies show that junk food can be addictive; the more you eat it, the more you need to get the same feel-good effects. "One handful of potato chips won't cut it any longer, so you keep eating and eating," Frutchey says. Use it to lose it. Clean up your diet. Swap in whole, unprocessed foods, including vegetables, lean protein, and healthy fats that will fill you up and give you the biggest nutritional bang for your calorie buck. In a few weeks, as your brain starts receiving regular hunger and fullness signals once again, you'll notice that you feel less hungry overall and naturally start cutting back on the amount you eat, Dr. Aronne says. While you're at it, log each meal. Keeping a daily food diary (there are tons of apps for this) leads to significant weight loss because it makes you accountable, research shows. 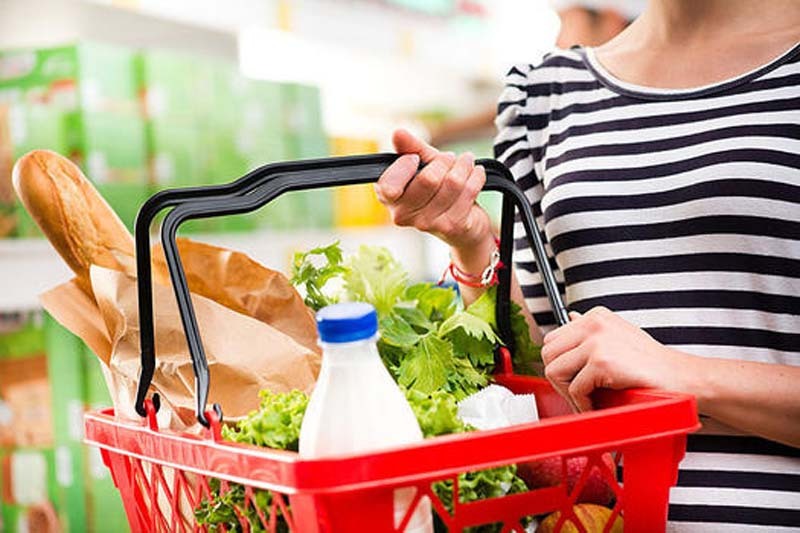 One study published in the American Journal of Preventive Medicine found that people who kept daily food records lost about twice as much weight as those who didn't. Here's why eating the three Ps regularly will help you drop pounds. Protein fills you up. You need it to build lean muscle, which keeps your metabolism humming so that you can torch more fat, Dr. Aronne says. People in a weight-loss program who ate double the recommended daily allowance for protein (about 110 grams for a 150-pound woman) lost 70 percent of their weight from fat, while people who ate the RDA lost only about 40 percent, one study found. 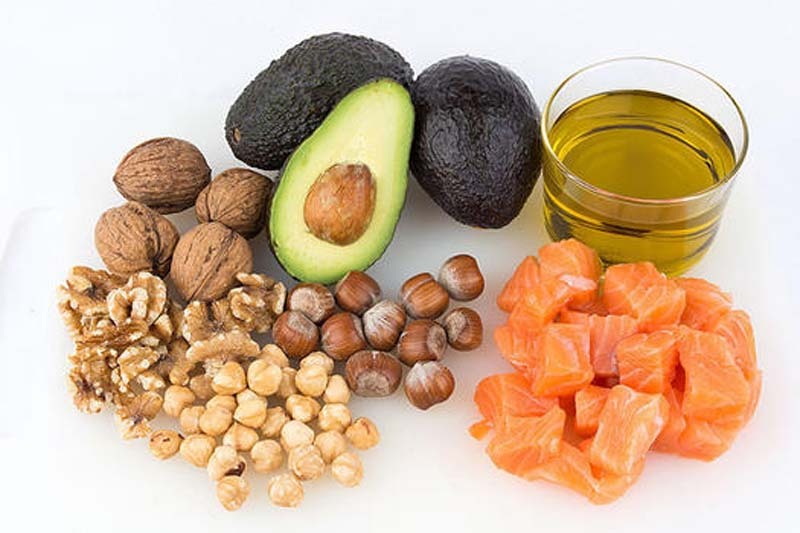 Plant-based fats like olive oil and those in avocados and nuts are healthy and extra satiating. "Low-fat diets make people irritable and feel deprived because fat tastes good and keeps you full," Dr. Apovian says. Use it to lose it. Aim to incorporate each of the three Ps into every meal and snack. People who eat protein throughout the day are able to keep weight off, according to a study in the American Journal of Clinical Nutrition. In addition to meat, poultry and seafood, good sources are beans, lentils, eggs, tofu, and yogurt. As for fat, keep portion sizes in check by measuring out salad dressing, oil, and nut butters (shoot for one to two tablespoons). Finally, eat veggies or a little fruit at every meal. People who did that consumed 308 fewer calories but didn't feel any hungrier than when they didn't eat more produce, a study in the journal Appetite noted. When you lose weight on a fast or a crash diet, you don't learn to eat healthier, adjust your portion sizes, or deal with whatever is triggering your overeating in the first place, so the pounds quickly return, Frutchey says. The physical damage goes deeper. "The worse the quality of a diet or the more restrictive it is, the more you end up burning precious muscle to supply energy," Dr. Aronne says. "You're losing muscle instead of fat, so the weight loss is just an illusion of success." Use it to lose it. Depending on how much weight you need to drop and how much you currently eat, try to cut 500 to 1,000 calories a day through both diet and exercise, Frutchey advises. Limiting yourself to about 1,500 calories a day won't leave you starving, but it will help you see motivating changes on the scale. In order for your brain to register that you're full, you need to focus on what you're eating. "Physical satiety is closely tied to psychological satisfaction," Beck Busis says. "People tell me all the time how difficult it is for them to lose weight because they love to eat, yet they never concentrate on their food—they eat while watching TV, reading, driving, and working." No wonder that, according to research, eating when you're distracted results in consuming a significant number of extra calories a day. Use it to lose it. Sit down whenever you eat, preferably at a table. "If you ask someone to recall what she ate in a day, she'll forget most of the food she consumed standing up," Beck Busis says. Turn off the TV or computer, put down your phone, and look at your food. Smell it. Chew slowly, and don't put another bite on your fork until you swallow. When women ate lunch this attentively, they consumed 30 percent less when snacking later than those who listened to an audiobook at lunchtime, according to a study in the British Journal of Nutrition. The scale provides the best evidence about whether your efforts are paying off, Beck Busis says. Seeing the numbers tick up or down or stagnate is motivation to keep going—or to rethink your approach. A 2015 study at Cornell University found that daily weigh-ins helped people lose more weight, keep it off, and maintain that loss, even after two years. Use it to lose it. Step on the scale at the same time every day for the best results. If your weight shoots up several pounds from one weigh-in to the next, don't freak out. Eating a lot of salt the night before or having your period is the likely culprit. The number should return to normal in a day or two. It's a steady climb that you need to do something about. When you're tired and frazzled, your body cranks up the production of cortisol, the stress hormone that can cause carb cravings, Frutchey says. Not getting enough sleep also boosts your levels of ghrelin, a hormone associated with hunger, while suppressing leptin, a hormone that signals fullness and satiety. People on a diet who slept only five and a half hours a night for two weeks lost 55 percent less fat and were hungrier than those who slept eight and a half hours, according to a study in the Canadian Medical Association Journal. Use it to lose it. Prioritize sleep, aiming for seven hours or more a night, which research shows helps lower stress. And make sure you're getting quality zzz's. If a snoring spouse or a fidgety cat wakes you up frequently throughout the night, you may end up getting the equivalent of just four hours of sleep, according to a study from Tel Aviv University. Keep pets out of the bedroom, and use a white-noise app to drown out snoring. 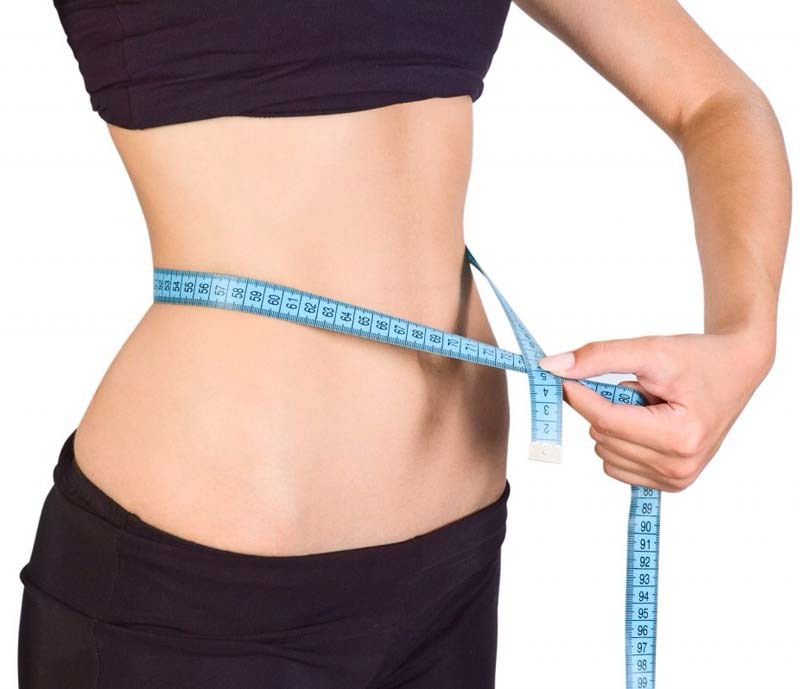 As you slim down, your body releases much less leptin, the fullness hormone. "If you lose 10 percent of your body weight, leptin drops by about 50 percent," Dr. Aronne says. "Your brain is programmed to think you've shed more pounds than you actually have, and it tells your body it needs more food and should burn fewer calories." That's why plateaus happen and what makes maintaining weight loss so difficult. In addition, when you're lighter, you require fewer calories for energy. "You might have burned 100 calories taking a walk before, but now your body needs only 80 calories to go the same distance," Frutchey explains. Use it to lose it. We'll reiterate: If you're not strength training, start right now. Building muscle can raise your metabolism to help you overcome a plateau, Dr. Aronne says. To keep your body challenged and burning calories, incorporate new moves and more intense intervals into your workouts or add another sweat session to your weekly routine. Alternatively, cut an extra 100 calories or so a day from your diet. Now that you've lost weight, your body simply doesn't need as much fuel. Still stuck? Try eating carbs last at every meal, after your protein and vegetables, Dr. Aronne suggests. His research shows that doing so will reduce your blood sugar by almost 40 percent. "Blood sugar influences weight," he explains, "so this strategy could help."